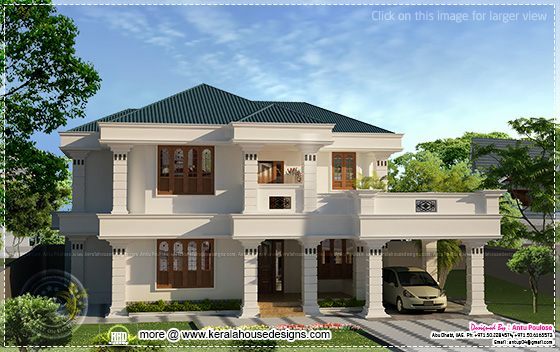 Elegant looking beautiful Kerala home in 2650 Square Feet (246 Square Meter) (294 Square Yards). Designed by Antu Poulose, Abu Dhabi, UAE. Ground floor : 1520 Sq. Ft.
First floor : 1130 Sq. Ft.